In 2000 we completed a research project for a supplier of high-performance carpet tiles that would complement our range of raised access flooring systems. We concluded that none of the suppliers that we looked at could match the quality, durability and elegantly fashionable design of the carpet tiles produced by Swedish flooring company, Bolon. We were impressed by so many things about this company’s products that they have been our preferred supplier of raised access flooring carpet tiles since 2000. Bolon is a cutting-edge design company located in the lush and scenic landscape of Sweden’s Västergötland. Their collections are developed, designed and manufactured there and they describe their designs as a combination of “Nordic beauty and urban robustness”. The company was started in Stockholm in 1949, by Nils-Erik Eklund, and has remained in the family ever since. Over the last 60 years its reputation for providing attractively designed, robust flooring has just grown and grown. It is now run by Nils-Erik’s granddaughters Annica and Marie, who insist on providing the same combination of innovation, stunning design and durability that the company has become known for. 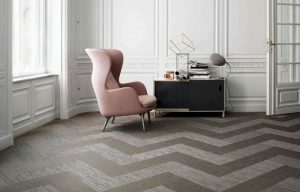 A lot of hard work and a profound understanding of what makes great flooring design has made Bolon a company that is now an award winning producer of fashionable and elegant flooring with an international reputation for design quality. 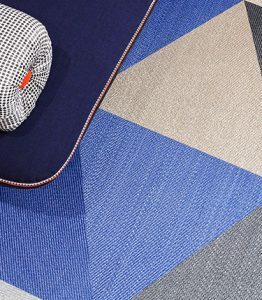 Bolon is now an international design brand whose award winning flooring can now be found in hotels, offices and retail outlets all over the world. We feel sure that once you have seen the range, design and sophistication of their flooring you will understand why they make the perfect complement to our range of raised access flooring systems.